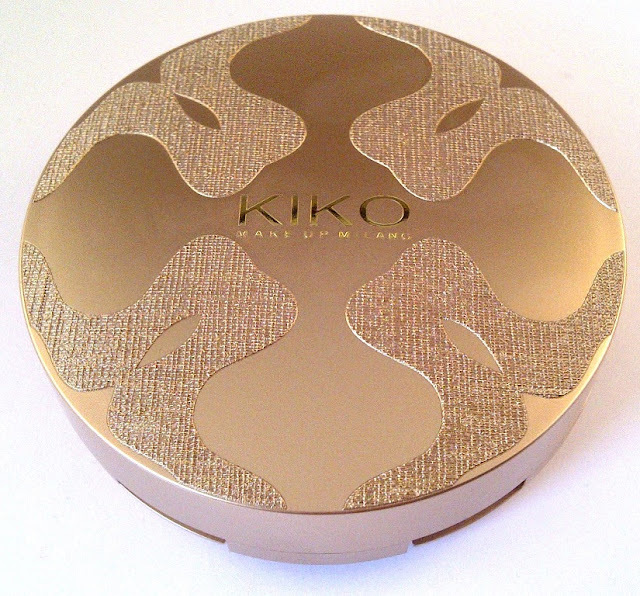 Another gorgeous item from the Kiko Make Up Milano Limited Edition Fierce Spirit Collection. This time it is the Sun Bronzing Blush. 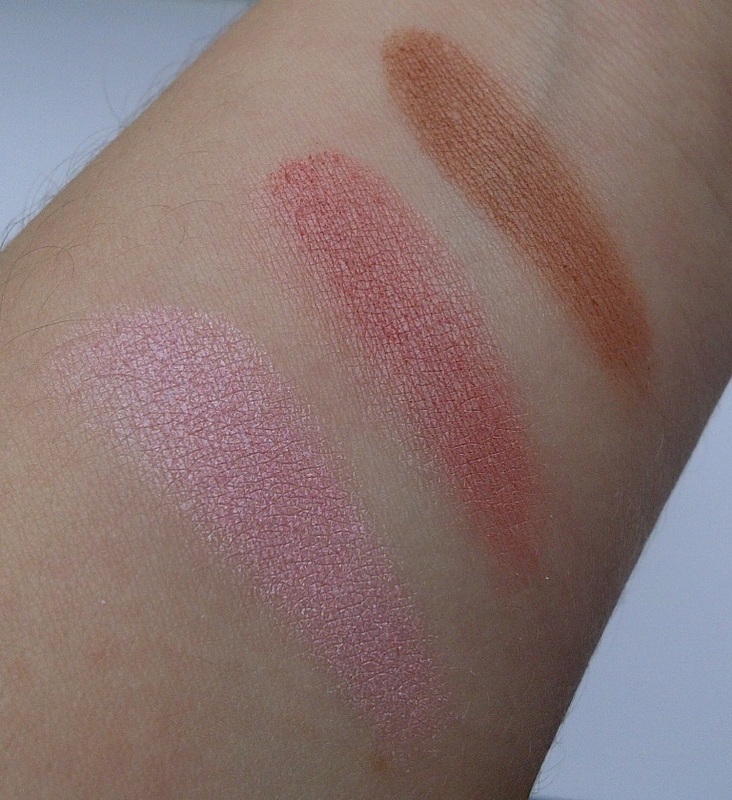 Blush that combines three shades in a single product for a custom made look. 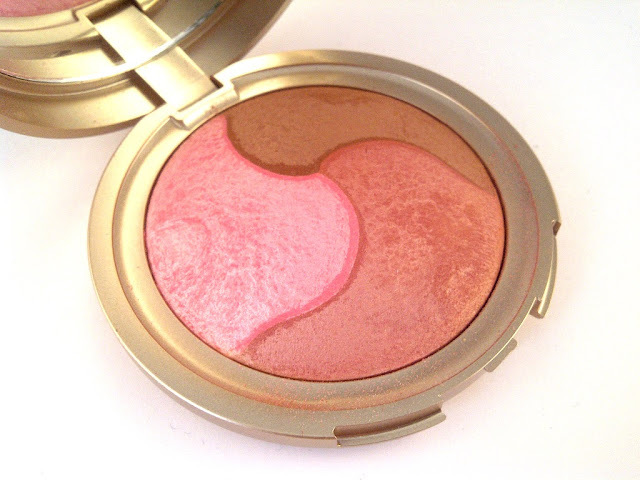 Use the three shades separately or mix them up to sculpt your face and outline facial features with a radiant finish. Silky touch and long-lasting performance. Hypoallergenic formula and paraben free. This is such a pretty blush. It is cased in a sturdy gold compact and comes complete with a mirror. 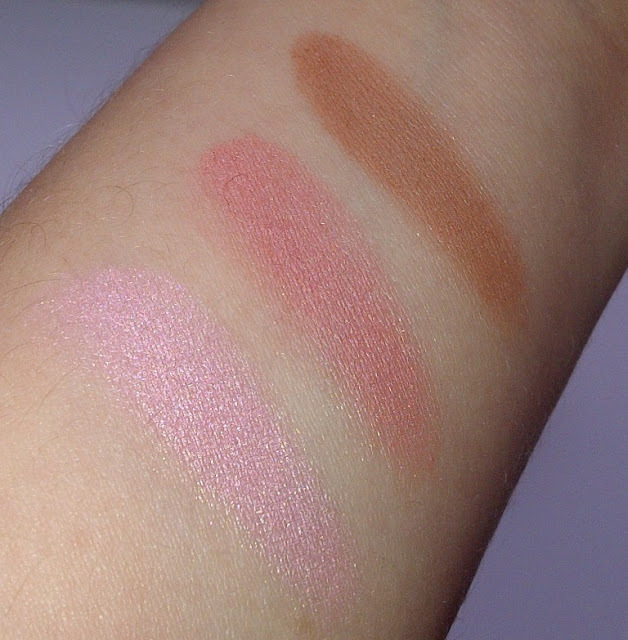 The three shades can be used alone or blended making it a great versatile, mulit-functional product. The brown is a warm matte brown and good as a bronzer and also for contouring. The main blush shade is a delightful raspberry colour and the highlighting shade is a frosted pale pink. 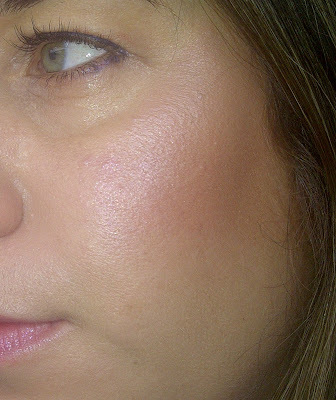 Texture wise this is soft and creamy and blends beautifully on the skin. I cannot fault this blush at all. I think it is great value. 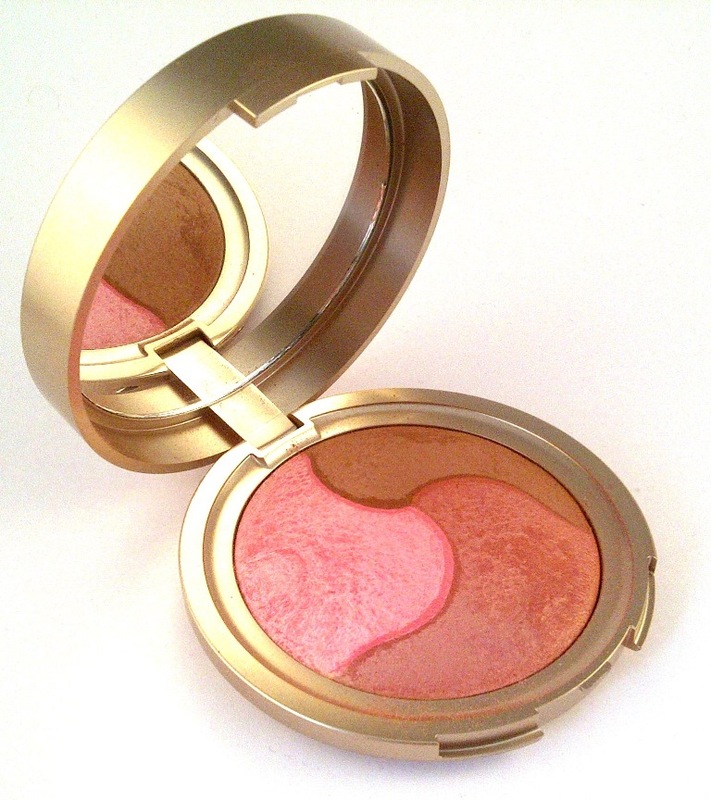 Kiko Sun Blushing Bronze in 101 Crystal Rose costs £13.90 and is available online from Kiko or from Kiko stores. this would be perfect for taking on holiday, love the colour combination. Mine smells soooo bad, just like plastic or synthetic, I don't know. I was wondering if you have my same problem, do you? No, I would have definitely have noticed if it smelt as bad as you are saying.